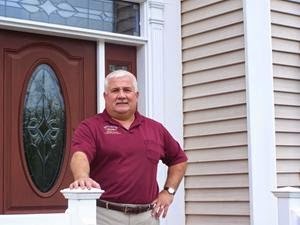 I recently had the chance to ask John Colucci, the VP of Sales and Marketing from Westchester Modular Homes in Wingdale, NY, some questions about the modular home industry. John has been instrumental in making Westchester one of the premier names in modular housing, not only in the New England area but also in the growing Mid-Atlantic region. Modcoach: John, how did you get started in modular housing? John: I have been in the industry since 1985. I graduated college in 1984 with a BS Degree in Business with a concentration in Marketing. As I put myself through school I worked for a large Builder in New Jersey called The Kaplan Organization. I sold homes on the weekends in one of their larger developments. When I graduated college I went to work in the Health Care Business as a Marketing Analyst but I was not one to sit behind a desk all day crunching numbers so I went into New Home Sales full time. The Kaplan Organization hired Bill Reasor to start a modular home company in Pennsylvania in 1986 so I interviewed with Bill for a Sales Position. I worked as a Salesman at Kaplan Building Systems under Bill Bobbit for two years and was offered a promotion to Sales Manager. At that time, I had met Steve Kerr who was hired as Marketing Manager at Kaplan and we worked together for a year or so at Kaplan. I joined Westchester Modular Homes in 1989 as Sales Manager and became VP of Sales & Marketing in 1994. Modcoach: How has Hurricane Sandy impacted your factory? John: Hurricane Sandy had a big impact on our factory in a very quick period of time. We did not waste any time developing and implementing a marketing plan which included educational seminars for Sandy Victims in New Jersey and New York. In 2013 Sandy accounted for over a 20% increase in our business. This business came at a time when the market was just starting to show some signs of life and was a great kick start to bring production levels up. This business continues to be sustained as we go into the second half of 2014. Modcoach: Are you doing commercial projects like hotels, apartment buildings, etc? John: Commercial projects such as apartment buildings, student housing, and small scale multifamily projects have been a greater part of our business over the past couple of years than ever before. This is purely market driven and when you look at the demographic of the upcoming generation of home buyers, I believe this segment of the market will continue to grow at a greater rate than the single family market. Modcoach: What “green” or energy saving products have you added to your homes, either as a standard item or as an option? John: There are a small amount of builders and homebuyers who are focused on Green products and perhaps even looking for a certified green home. This is not to be confused with many more homebuyers who are looking for an Energy efficient home which is a much greater percentage of the market than Green buyers. Yes, we have adapted our standard specifications to include many of the items that would be required for a High Energy Efficient home for all of our customers. Although our product can boast some great HERS ratings regarding Energy Star, we are finding that many clients dont necessarily care about the certification of Energy Star as long as it meets all the high energy efficient criteria. We have also built some zero net energy homes that have proven very successful. Modcoach: Are the size of today’s homes different from the boom times before 2008? John: The size of the homes have gotten smaller in most cases with a slight exception of the high end market buyer inside the Metro areas of New York and Boston. One thing has remained constant.......the kitchens are the focal point and the customer will spend money to upgrade in this area of the home. John: We are strong on Social Media and always looking to advance our skill level here. I can not comment enough about the importance of a highly informational web site tied to social media. Thank you John for your thoughts on modular housing today. Great interview by a true professional in this field.